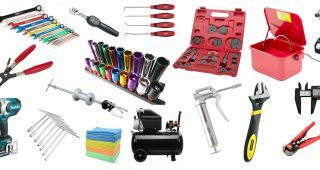 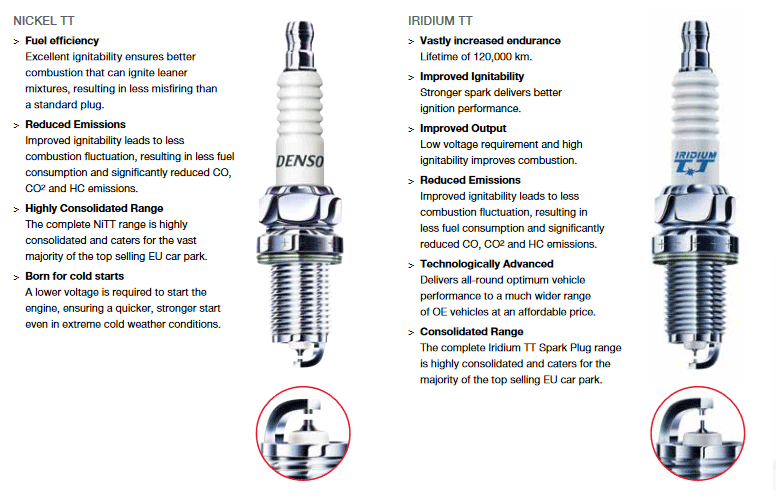 What is Denso Twin Tip (TT) Technology? 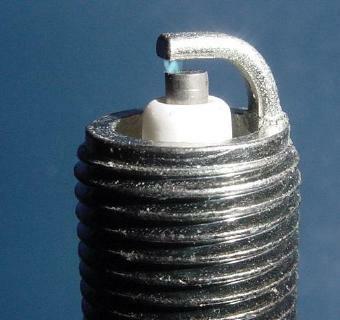 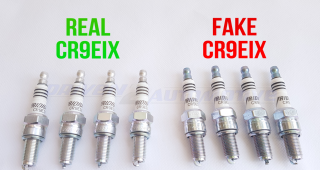 When you look at standard old fashioned Nickel Spark Plugs they feature flat, rather large electrode surfaces which block the ability of the spark ignition to grow. 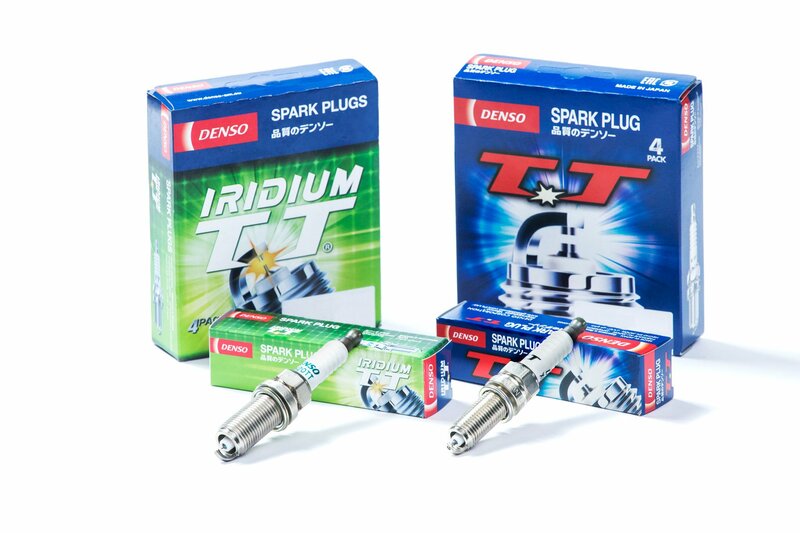 But DENSO Iridium TT spark plugs feature two needle-thin electrodes (with the centre electrode 0.2mm smaller than the nearest rival) which act as thinner ‘fingers’, allowing the spark combustion to expand 360 degrees in all 3 dimensions. 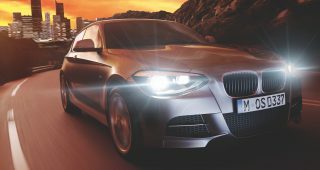 This improves the ability of the air and fuel mix to ignite and, in turn, allows the spark to expand quicker and better, optimising both fuel economy and performance. 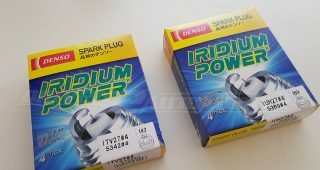 DENSO’s cutting-edge technology has created a unique iridium rhodium alloy with the highest iridium ratio in the market for the centre electrode as well as a bespoke platinum alloy for the ground electrode, allowing for the extended lifespan of the plug. 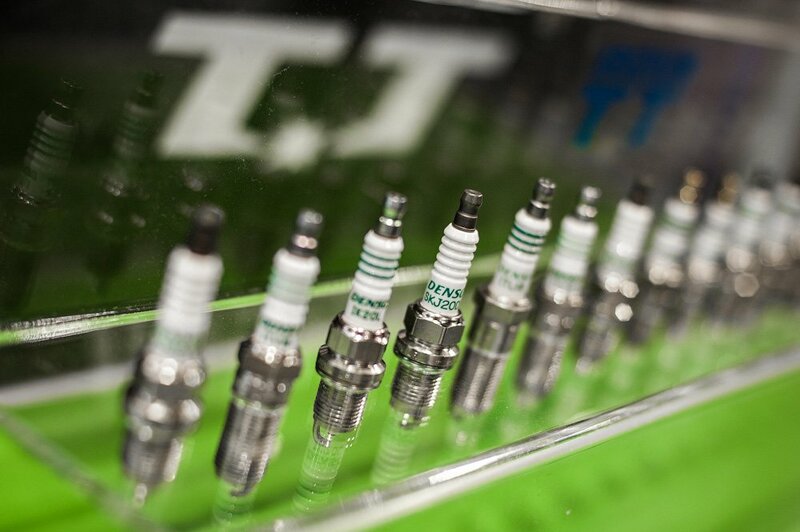 Nickel TT spark plugs incorporate a similar electrode tip design, however no precious materials are used unlike Iridium TT, making the cost to efficiency ratio very good. 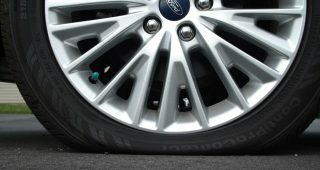 Is your cars engine interested in these? 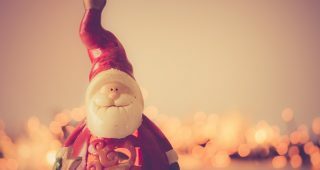 Of course it is!